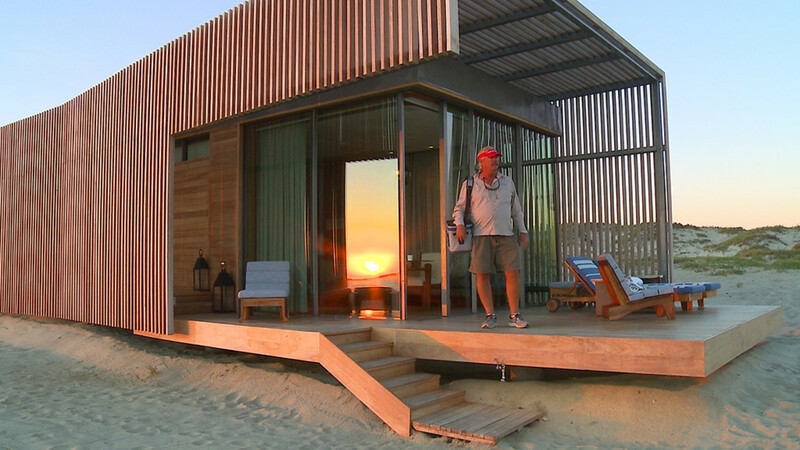 A new resort on Mexico’s East Cape offers exciting opportunities for anglers. 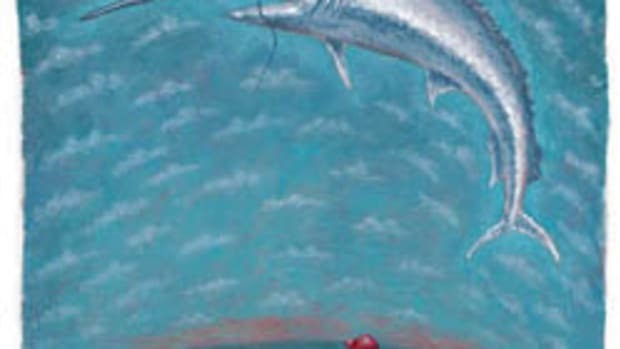 World-class billfishing a stone’s throw from shore? Sign us up! 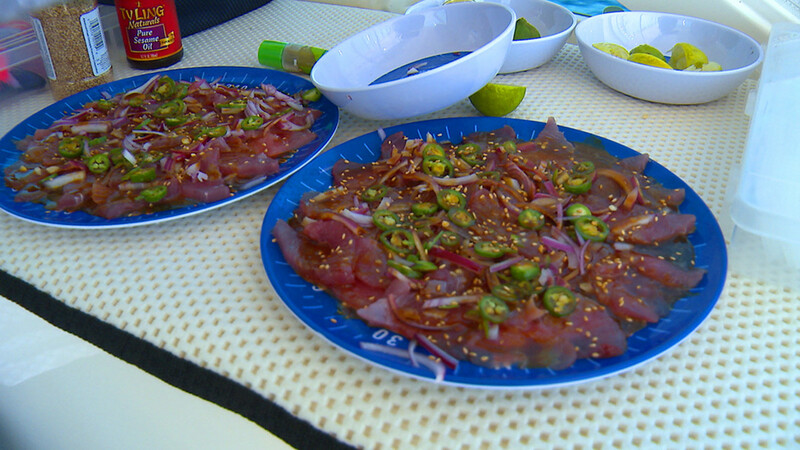 Mexico’s Baja California has attracted fishermen from around the world for decades. 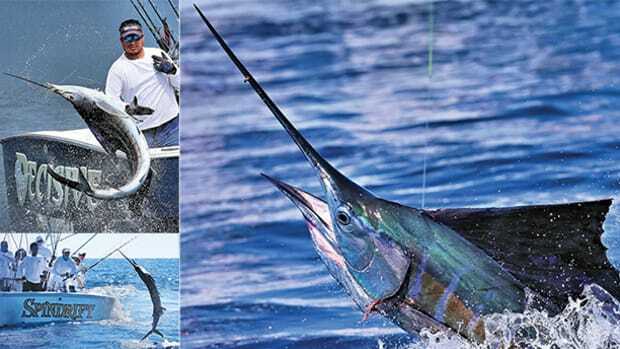 Famed fishing spots like Cabo San Lucas and Magdalena Bay provide some of the best blue-water action found anywhere. Then there’s the Sea of Cortez, also known as the Gulf of California. 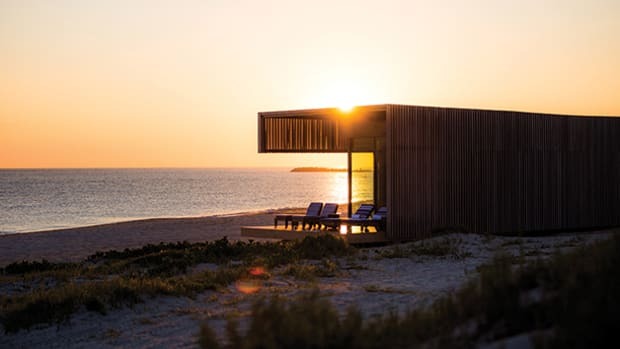 This 700-mile-long body of water lies to the east of the Baja peninsula and the East Cape region of Baja California Sur has lured anglers to rustic, fishing lodges since the ‘50s. The term East Cape generally refers to the area from Punta Pescadero, north of the Los Barriles, south to the city of San Jose del Cabo, located just northeast of Cabo San Lucas. 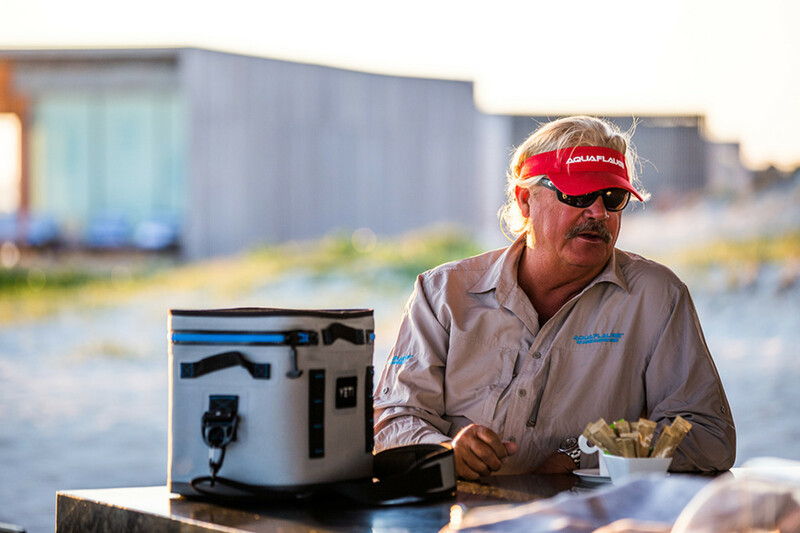 The anglers of East Cape have always fished from boats moored just off the beach, since no marina existed between San Jose del Cabo and the city of La Paz, more than 100 miles to the north. But a new development about 45 miles north of the San Jose/Cabo airport should change that forever. 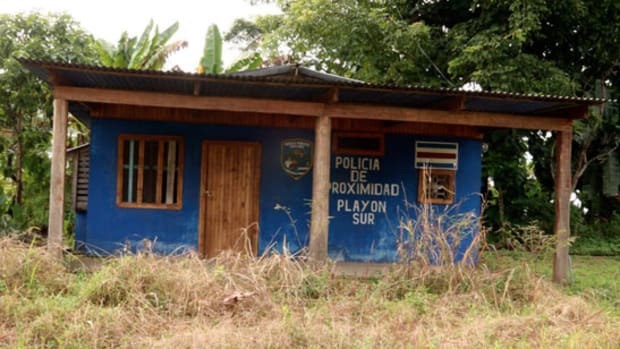 Costa Palmas, a residential resort community is currently being built on 1,000 acres near the town of La Ribera and will feature a private 250-slip marina that will be part of a new Four Seasons resort. 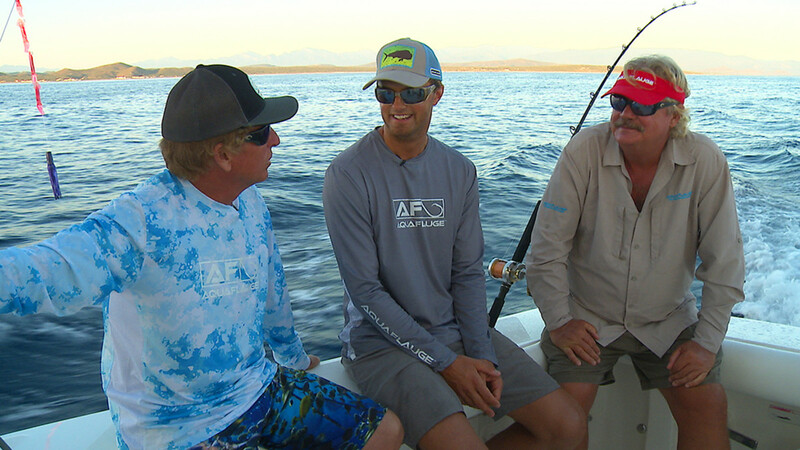 I recently had the opportunity to fish the placid waters of the Sea of Cortez out of Costa Palmas with Capt. 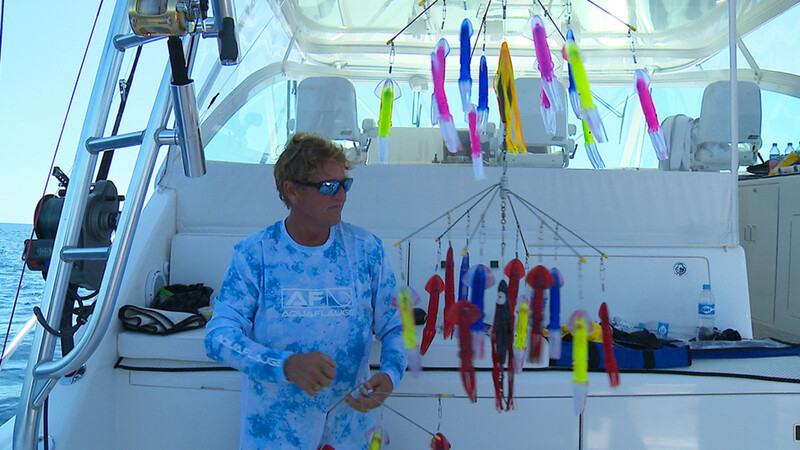 Tim Eck, a transplant from Idaho who keeps his beautiful 52-foot Cabo express Free 2 Play at the marina. Our first day, we ran south along the beach about 30 miles, to a point where yellowfin tuna had been schooling for several weeks. Eck and his crew set us up in a drift and began chumming with large chunks of squid for the tunas we had marked on our sounder. It didn’t take long to connect with the fish. Pete Hardie, a sales executive with Costa Palmas who had joined us for the trip hooked up first, landing a nice 30-pounder. 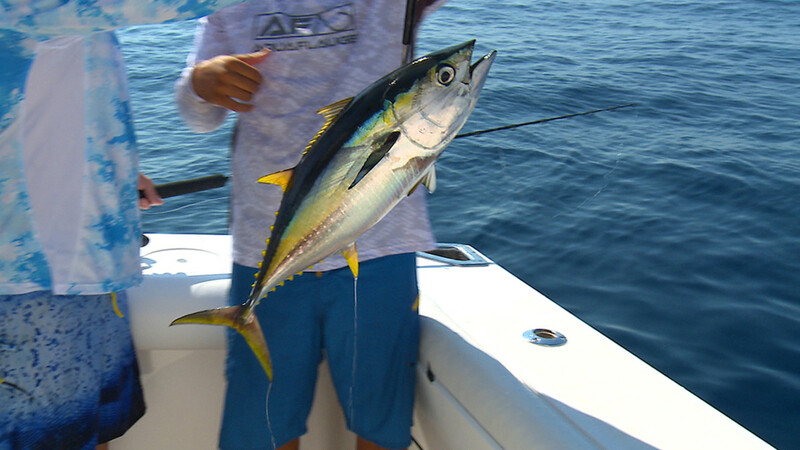 We spent the remainder of that first morning reeling in one chunky yellowfin after another as thoughts of fresh sashimi danced in our heads. 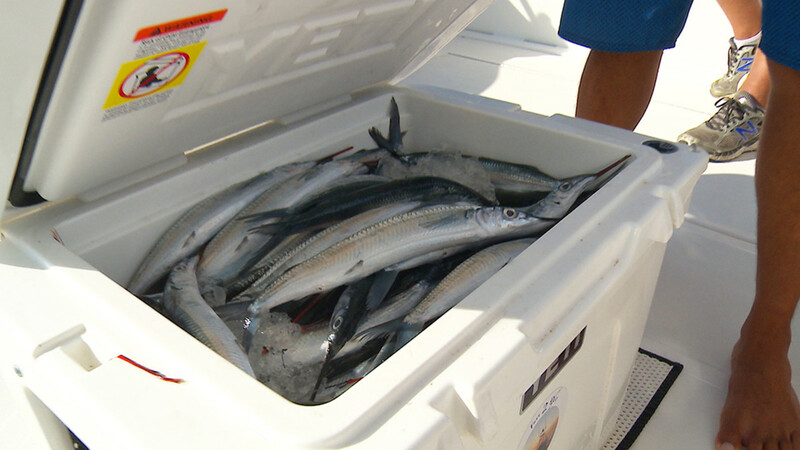 We also trolled for wahoo, another species commonly found in the area, and although we had a couple of bites, the fish somehow missed the hooks. 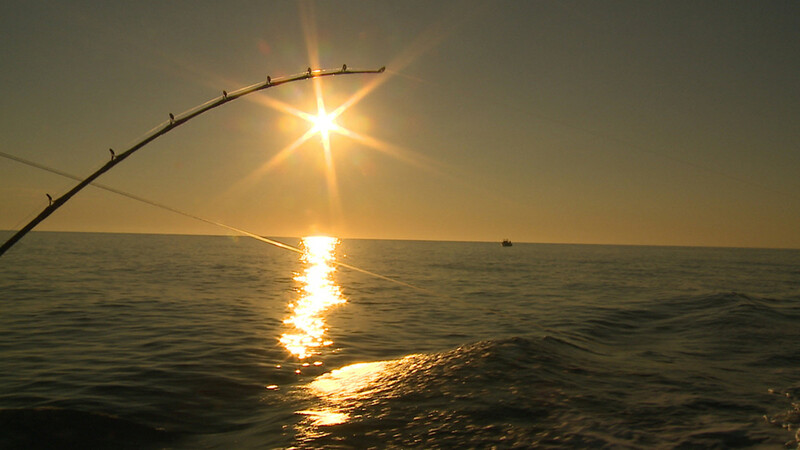 That afternoon, we pointed the 52 offshore and put out a trolling spread, looking for something a bit larger. 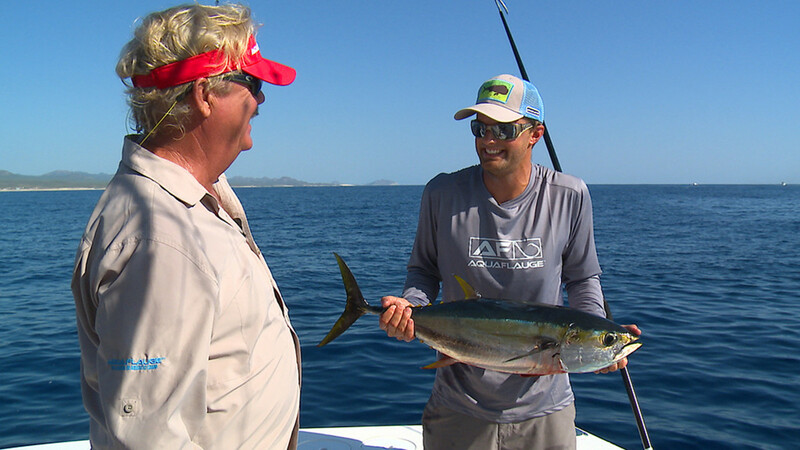 Right off the bat we caught a fat dorado, adding more fresh fish to the box. But a little later we hit pelagic pay dirt when a long outrigger went down hard. We spotted the billfish when it struck but couldn’t immediately identify the species. I thought possibly it was a striped marlin, but when it began jumping I realized a huge Pacific sailfish engulfed our lure instead. 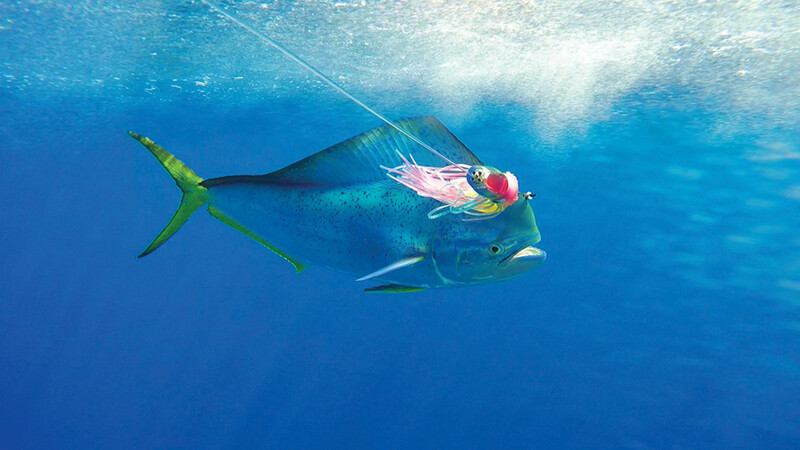 Our spread consisted of relatively large, artificial lures intended for marlin; sailfish rarely take such offerings. 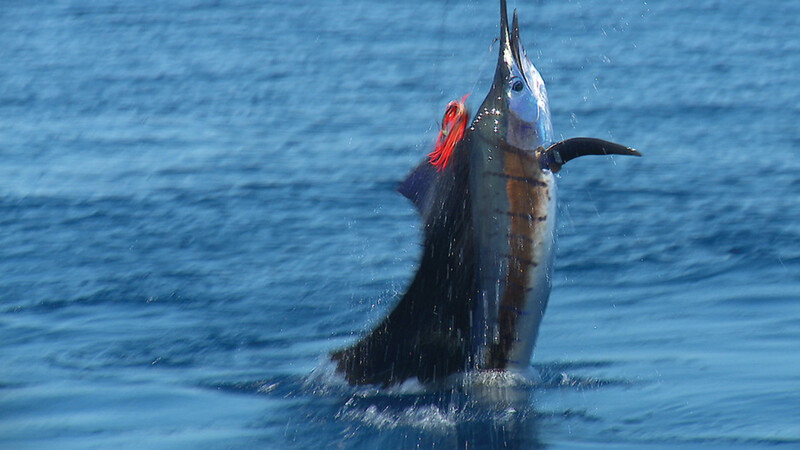 The sail put on an exciting aerial display, but in short order I had the fish close to the boat and we released it after taking some photos. 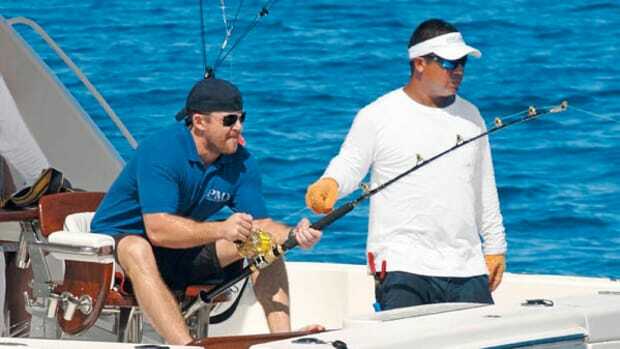 That fish turned out to be the largest sailfish I’ve ever caught; we estimated its weight at close to 200 pounds. That’s a spectacular fish in anyone’s book. 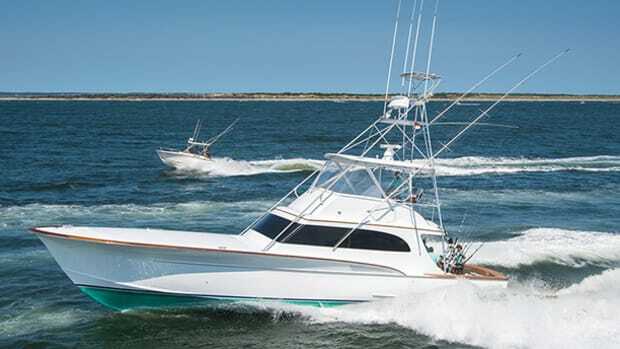 We still had not seen a marlin, but late the next afternoon, something ate a lure on the long rigger again and line immediately began flying off the reel. The boil in the water left behind as the fish engulfed the lure left no doubt as to what had appeared in our spread. 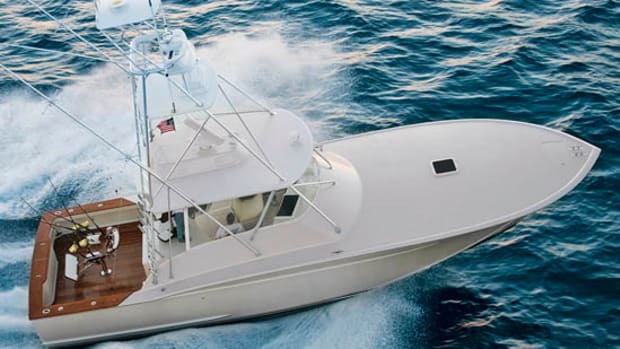 I grabbed the rod and settled into the Cabo’s fighting chair as the blue marlin thrashed across the surface far behind the boat. 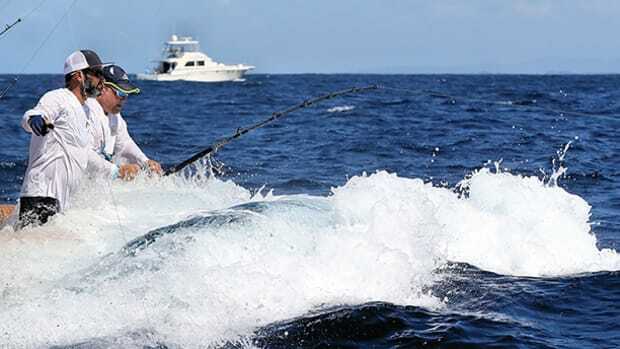 After a lengthy battle, the fish came close enough to the transom for the mate to grab the leader, but as he did, the lure fell out of the marlin’s mouth and off he swam. A “legal” release to be sure, but we had wanted to get a better look at him. Eck and I agreed the fish would have likely weighed in around 350 pounds. 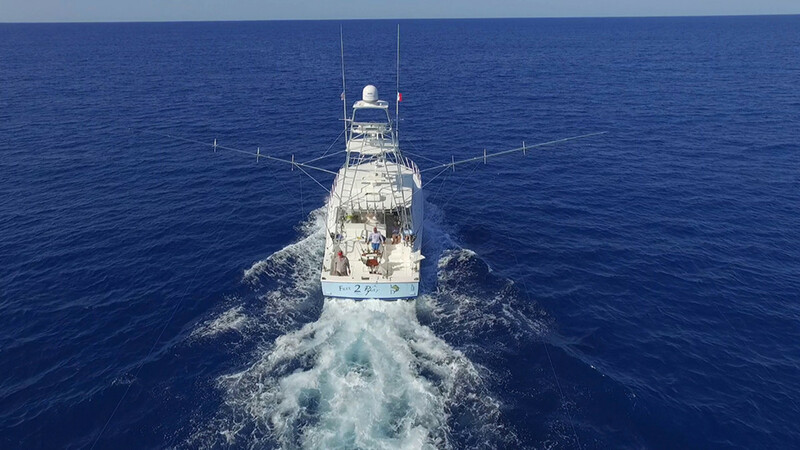 And the most amazing part: We caught that marlin about seven miles off the Costa Palmas marina, right off the beach. 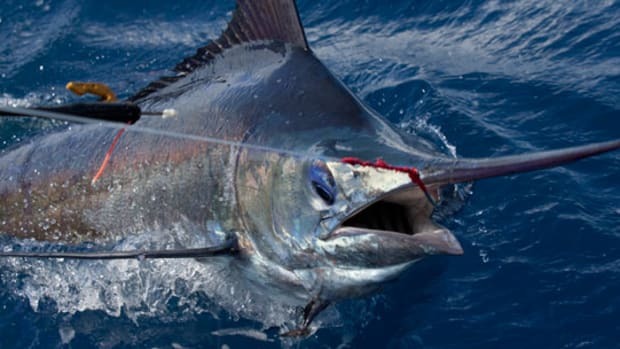 Costa Palmas will elevate the famed fishing off Baja’s East Cape in the Sea of Cortez to an entirely new level by providing a world-class marina coupled to the definitive luxury of a Four Seasons resort. The marina will offer a charter dock, as well as some transient dockage, and slips will be available for purchase as well.